Home to nearly 800,000 veterans and several major military installations, North Carolina has a distinguished history in serving the U.S. military, veterans, and their families. The N.C. Division of Workforce Solutions provides job seeker services for veterans, transitioning service members, and eligible spouses..
Services available through the U.S. Department of Veterans Affairs. Services for veterans in crisis. Home to nearly 800,000 veterans and several major military installations, North Carolina has a distinguished history in serving the U.S. military, veterans, and their families. The N.C. Division of Workforce Solutions provides job seeker services for veterans, transitioning service members, and eligible spouses. 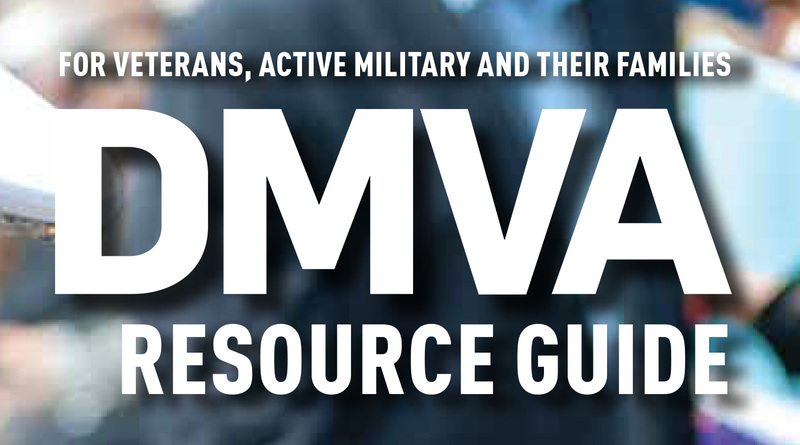 This Resource Guide is produced and published by the North Carolina Department of Military and Veterans Affairs in conjunction with the Department of Health and Human Services and the Department of Commerce to assist and educate veterans in learning about state and federal veteran benefits. NCWorks registered events Link to all events including JobFairs that are offered by NCWorks Career Centers across the state. eBenefits is the gateway to benefits for veterans, service members, and their families to research, access, and, apply for benefits including veterans disability compensation, the VA Home Loan Certificate of Eligibility and much more. Veterans can create a free account to manage and view the status of their benefit applications. The VA's Compensation and Pension Benefits department administers a variety of programs and services for veterans and their families, such as service-connected compensation, disability compensation, pension and burial benefits. Includes information on types of benefits, program fact sheets, how to apply for benefits, and VA contact information. The VA Education Service offers many different types of benefits for active duty, discharged and retired military service people and their families. Includes information on types of educational benefits, how to apply for benefits, Frequently Asked Questions (FAQ) about VA education benefits, and VA contact information. The Veterans Health Administration provides outpatient medical services, hospital care, prescription medicines, and other medical supplies to eligible veterans and their families. Includes information on eligibility, types of benefits available, how to apply for benefits and a health facilities locator. The VA Home Loan Guaranty Program helps veterans and active duty personnel purchase and retain homes in recognition of their service. VA loan guarantees are eligible to servicemembers, veterans, reservists and unmarried surviving spouses for the purchase of homes, condominiums and manufactured homes for the veteran's personal occupancy. The VA offers a wide range of benefits for the spouse, children and parents of deceased veterans and military servicemembers, including compensation, pension, educational, training, burial and home loan assistance benefits. The VA's Vocational Rehabilitation and Employment Services department provides workforce-related assistance to veterans with service-connected disabilities, as well as vocational counseling to active duty military who are about to separate from service. Includes information on employment and independent living services, educational counseling, how to apply for benefits, application forms and department contact information. As one of America’s foremost veterans service organizations, AMVETS (or American Veterans) has a proud history of assisting veterans and sponsoring numerous programs that serve our country and its citizens. The helping hand that AMVETS extends to veterans and their families takes many forms, such as counseling on education, disability compensation, employment, hospitalization, rehabilitation, and pensions and quality of life programs administered on both the federal and local level. NCOA was established to enhance and maintain the quality of life for non-commissioned and petty officers in all branches of the Armed Forces, National Guard and Reserves. The Association offers its members a wide range of benefits and services designed especially for current and former enlisted service members and their families, including employment assistance, medical and scholarship funds, and a JROTC program. Established in 1942, the American Ex-Prisoners of War is a not-for-profit, Congressionally-chartered, veterans’ service organization representing former prisoners of war and their families. CWV is the preeminent veterans service organization for Catholic military veterans. Here you will find detailed information about the CWV, and other information of interest to all military veterans and those that support them. For almost 75 years the CWV and its auxiliary have been engaged in actively supporting Catholic military veterans and promoting their welfare. The Center for Women Veterans was established to ensure women veterans have access to Veterans' Administration benefits and services, and that those services are responsive to the gender-specific needs of women veterans. Topics include VA benefits application assistance, readjustment and sexual trauma counseling, comprehensive health care centers, and other benefits of interest to women veterans. JWV provides many services to Jewish military veterans and their families, including scholarships for descendants of JWV members, a network of Veterans’ Service Officers, member life and health insurance coverage and a prescription program, audio-visual library resources, the JWV disaster relief fund, care packages to service personnel, and a host of other programs. MilitaryHOMEFRONT is the Department of Defense website for official Military Community and Family Policy program information, policy and guidance designed to help troops and their families. Whether you live the military lifestyle or support those who do, you'll find what you need! NABVETS provides dedication and commitment to creating positive lifestyles for all veterans, their families and their communities. NABVETS advocates for veteran entitlements, to assure family and community empowerment, to challenge homelessness, to advance partnerships to assure needed services, and to provide information. The National Military Family Association is the leading nonprofit organization committed to strengthen and protect the families of the men and women currently serving, retired, wounded or fallen. The NMFA provides families of the Army, Navy, Marine Corps, Air Force, Coast Guard with information, work to get them the benefits they deserve, and offer programs that improve their lives. The website also includes an extensive links page to help you find the services you need. Student Veterans of America (SVA) is a coalition of student veterans groups from college campuses across the United States. SVA works to develop new student groups, coordinate between existing student groups, and advocate on behalf of student veterans at the local, state, and national level. The WMA is a non-profit veterans organization comprised of women who have served or are serving honorably in the U.S. Marine Corps regular or reserve components. Women Veterans of America (WVA) works to unite all women veterans and ensure the best possible care is given to women veterans by the Department of Veteran's Affairs Medical Centers. WVA is an advocate for all women veterans and for women currently serving in the military. Veterans will find a simple and quick search engine where they enter their prior military experience and link to the information they need to explore civilian careers and related training, including information they can use to write resumes that highlight related civilian skills. Veterans can access the employment center for transitional and career resource information. The eBenefits portal also features a section for employers seeking to hire veterans..
A free site where former military personnel can seek careers and utilize their professional skills. You can post your resume, search for job openings, research companies, and get information on relocation, salary and other benefits. The U.S. Department of Veteran Affairs provides information and support to veterans suffering from Post-Traumatic Stress Disorder, and their family members. The site provides links to information about all aspects of PTSD, a returning from a war zone guide for families, and help on finding a PTSD therapist. The National Resource Directory is an online tool for wounded, ill and injured Service Members, Veterans, their families, and those who support them. The NRD provides access to more than 11,000 services and resources at the national, state and local levels that support recovery, rehabilitation and community reintegration. Paralyzed Veterans of America has developed a unique expertise on a wide variety of issues involving the special needs of its members – veterans of the armed forces who have experienced spinal cord injury or dysfunction. 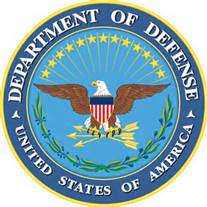 The DoD Transition Assistance Program was developed to assist in the transitioning of military personnel and family members leaving the service. Returning to civilian life is an exciting time, but is also a complex undertaking. There are many steps to take, with questions to be answered. The DoD Transition Assistance Program is here to help. The site also provides a Wounded, Ill, and Injured Compensation & Benefits Handbook to service members. This site provides anonymous assessments that can help members of the military review life situations and determine if they need assistance in coping with their challenges. The questions in the assessment are designed to help review the situation with regard to some of the more common mental health issues. The screening will not provide a diagnosis, but it will tell whether or not you have symptoms that are consistent with a condition or concern that would benefit from further evaluation or treatment. It will also provide guidance as to where to seek assistance. Help is available to callers 24 hours a day, 365 days a year. Hotline advocates are available for victims and anyone calling on their behalf to provide crisis intervention, safety planning, information and referrals to agencies in all 50 states, Puerto Rico and the U.S. Virgin Islands. Assistance is available in English and Spanish with access to more than 140 languages through interpreter services. If you or someone you know is frightened about something in your relationship, please call the National Domestic Violence Hotline at 1-800-799-SAFE (7233) or TTY 1-800-787-3224. The Department of Veterans Affairs has founded a national suicide prevention hotline to ensure veterans in emotional crisis have free, 24/7 access to trained counselors. Veterans can call the Lifeline number, 1-800-273-TALK (8255), and press "1" to be routed to the Veterans Suicide Prevention Hotline. The website also has information about other benefits for veterans in crisis. Veterans visiting the website can also access a one-to-one "chat" service with a counselor. Find services for veterans in your NC by consulting the Veterans Affairs Department website. Find services for veterans in your area by consulting the Veterans Affairs Department website for your state.